There is no denying the fact that most of the people prefer to clean their hand held shower heads with vinegar. Well, there are mainly a couple of reasons behind that. First of all, cleaning a hand held shower head with vinegar is quite easy. You just need to manage several things for that and after that you can easily start the process. Secondly, the whole process doesn’t take much more time to complete. It is true that at present we are quite busy with different things. So it’s really not wise to spend a whole day by cleaning a hand-held shower head. That’s why people love to clean a shower head with vinegar because it doesn’t take much more time. At the same time, the process is cost – effective as well. In order to perform this process, you may need to spend a bit for purchasing the distilled white vinegar. Rest other things can easily be managed by yourself. For example, you have to need to old toothbrush for cleaning purpose. So will you be going to buy that? Obviously not; again you may need a soft cloth for polishing purpose and you can use microfiber or flannel as a soft cloth. Now will you have to think about purchasing them? Of course not; you can easily find it in your house. Hope you got my point. Now come to the main point of this article. While soaking the shower heads in the vinegar, you have to keep some essential things in your mind. First of all, you have to soak your hand held shower head in the vinegar for thirty minutes to overnight. 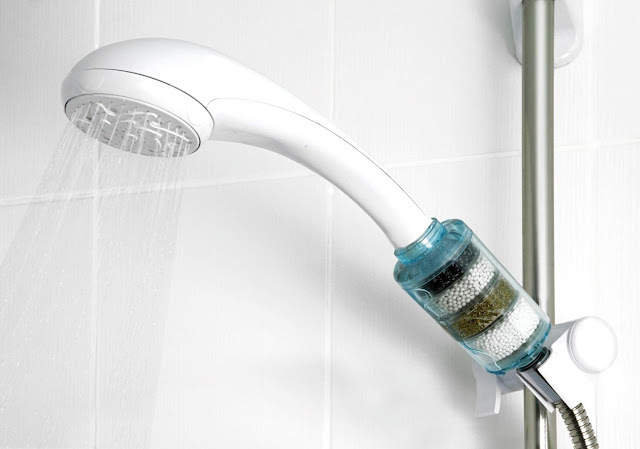 Remember that the more soiled your shower head is, the longer you’ll need to leave it in the vinegar. If your hand held shower head is made up of metal and if you are really in a bit hurrythen it will be quite possible for you to place the bucket on the stove and gently boil the vinegar for fifteen minutes. If your hand held shower head is made up of brass or if your shower head has a nickel or gold finish, then in this case I would like to suggest you to take it out after half an hour. You are always able to provide it another vinegar bath once you have cleaned it. So, these are the two things that you have to keep in mind while soaking your hand held shower head in the vinegar. Most of the people have clear knowledge about the process of cleaning a hand held shower head filter but often they forget those two cases. For this reason, though they performed every step in a proper way for cleaning their shower head, it’s really not totally clean at last. I hope this article will avoid yourself from making such type of mistake like others. Thanks for reading this content.